With a worldwide trend to strengthening of data security law and hefty fines for non-compliance, it’s never been more important to protect sensitive data. Encryption is increasingly relied upon to deliver increased safeguarding of information from breach. ScramFS makes this easy and cost effective. Many obligations can be efficiently and effectively met through encryption using ScramFS. Encryption is mandated in many situations - for example in the Telecommuications (Interception and Access) Act in Australia. ScramFS plays a direct and valuable role in achieving compliance. Other laws such as GDPR in Europe don't directly mandate encryption, but specifically reference encryption as a highly desirable measure to safeguard information. In particular, a leak of encrypted data is not regarded as a breach of data, does not need to be reported and consequently mitigates the risk of fines and penalties. Even before the introduction of GDPR, fines issued in the UK for data breaches have issued regularly by the UK Information Commissoner’s Office (ICO) and Financial Services Authority (FSA). A PwC study showed a doubling in the number of fines for breaches of UK data protection laws issued in 2016 over the prior year, with the UK Information Commissioner’s Office (ICO) issuing 35 fines totalling £3.2m. The UK Financial Services Authority (FSA) has also issued fines for breaches in information security. It issued a fine of £980,000 to Nationwide Building Society in 2007 for “failing to have effective systems and controls to manage its information security risks.” A laptop, containing sensitive personal information, was stolen from an employee’s home, potentially exposing its customers to an increased risk of financial crime. In 2010, the UK branch of Zurich Insurance Plc was fined £2,275,000 for “failing to have adequate systems and controls in place to prevent the loss of customers’ confidential information.” An outsourced contractor lost an unencrypted backup tape during a routine transfer to a data storage centre. The penalties for data breaches and non-compliance with legal regulations will become far harsher with the introduction of GDPR. The maximum penalties for non-compliance will skyrocket to €20 million, or 4% of worldwide revenue, whichever is greater. 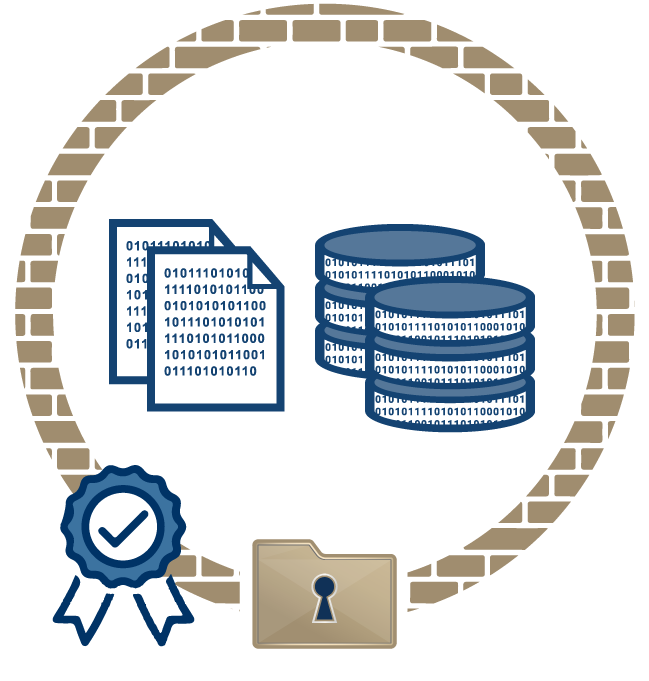 ScramFS, through its world class peer-reviewed encryption, provides an easy way to encrypt unstructured file data on a large scale. This makes it ideal to help in ensuring legal compliance and avoiding fines. What makes ScramFS ideal for helping with legal compliance issues? Traditionally, encryption has been regarded my many as difficult, and this has greatly hindered its adoption. ScramFS transforms this situation dramatically. Scalable: start small and grow big, there’s no limit to how much or little data that can be encrypted. We usually recommend that organisations start with a proof-of-concept, which you can do using our trial version.